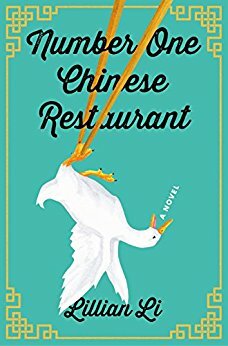 Lillian Li is the author of the new novel Number One Chinese Restaurant. 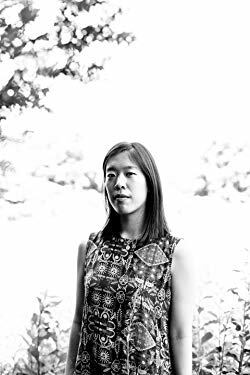 Her work has appeared in a variety of publications, including Guernica and Granta, and she lives in Ann Arbor, Michigan. Q: How did you come up with the idea for Number One Chinese Restaurant? A: Whenever I start to talk about writing Number One Chinese Restaurant, I find I always begin with the summer before I wrote the novel, which was the summer I was a waitress at a Chinese restaurant. When most people hear this, they assume I must have known I wanted to write about the restaurant before I started working there, but that wasn’t the case. I just wanted to make some money before grad school. The fact that the restaurant was a Chinese one was a complete accident. I didn’t realize at the time that I could get a waitressing job by strolling into an Applebee’s and asking if they were hiring; my mom ended up finding the job through the classified section of the local Chinese newspaper. As soon as I was hired I realized it was going to be an…awkward fit. For one, I was younger than all the other waiters by at least two decades, though most were in their 50s and 60s. I was also the only American-born Chinese—everyone else had emigrated from China—and English was my first language while it was their second, third, sometimes fourth language. But most importantly and egregiously of all, I had zero restaurant experience, and all my co-workers had years, sometimes decades of restaurant work under their belts. This is some weak foreshadowing to say that I was awful. I spilled a beer on a customer my first night and never improved from there. I lasted barely a month before I quit, and I vowed to forget the entire experience once I moved to Ann Arbor for grad school. But the experience followed me to Michigan. It had been physically challenging, yes, but long after the ache left my fingers and knees, I still felt the deep loneliness and alienation of serving people six days a week, 12 hours a day, people who looked right through me, who didn’t think of me as a human being. I couldn’t imagine anyone lasting longer than a month in a job like that. Then I couldn’t stop imagining it. What would that kind of environment do to a person over the years? What kind of life would they make for themselves as a substitute for the outside world? What would they be willing to do for connection, love, respect? What would they be willing to give up? It was through that compulsive imagination that I wrote the book. Q: The book includes a large cast of characters, and you tell the story from a variety of perspectives. Did you write the novel in the order in which it appears, or did you focus more on one character and then turn to another? A: I think an accidental saving grace for me with this novel was that I came up not with characters first, but relationships. Or rather, I came up with characters and relationships in tandem. I knew I wanted waiters Nan and Ah-Jack to be longtime friends with room for romance. I knew Johnny and Jimmy, the two current co-owners of the Beijing Duck House, would have a bad case of sibling rivalry. And I had an idea of Nan’s relationship to Johnny and to Jimmy, and so on. This meant that writing one character automatically informed all the others, which is the best kind of butterfly effect! At the same time, when I first started writing, the first few hundred pages were almost like the prologue to the actual novel. I was writing my characters, in relationship to each other and to the restaurant, going about their normal routines, not realizing that a novel is what happens when the normal routine is upended. The first hundred pages I wrote, Jimmy hadn’t even bought a new restaurant yet! He signed the contract on page 100. So while I technically wrote the novel in the order of what happens, only two-thirds of it ended up in the final manuscript. A: I usually wouldn’t say I have good instincts, but I do have good instincts when it comes to writing endings. I didn’t know how the book would end when I started writing, but I knew I would find it, and in fact there has only ever been that one ending. The last paragraph in the book is the last paragraph I wrote in my first draft. The problem is earning the ending, and many of the big changes I made came from that desire to give the ending as much oomph as possible. A: That’s a great question! The title took forever and changed multiple times and honestly it came about in reaction to a title I didn’t like, but couldn’t, at first, put my finger on why. Someone suggested the title Number One China Kitchen, and my immediate feeling was absolutely not. But I couldn’t articulate why I had such a strong reaction. I finally realized that while Number One China Kitchen has a lovely rhythm to it, it’s nonsensical. And one of the main stereotypes of Chinese restaurants is that they have names that don’t seem to make sense in English. The title made it seem like the joke was on the people in the restaurant, which I hated. But I liked that sentiment of “Number One,” so I wanted to see what would happen if I changed the second half of the title to make grammatical sense. Not because I think there’s anything inherently superior about standardized English, but because I wanted people not to know who or what the joke is on. I also wanted to point out how dodgy it is that people think a simple statement like Number One Chinese Restaurant could be a joke. Number One French Restaurant would not get the same reaction, for example. This prejudice against Chinese cuisine, Americanized Chinese food is something the characters are working against in the book. I wanted readers to react to the title and then to go into the novel with that reaction in mind. A: I’m just starting a potential novel about a group of childhood friends who grow up in a sheltered Chinese American community and, at separate points in their lives, leave, or are forced to leave that space, and how that impacts their understanding of themselves, their community, and the wider world. A: I’m also a bookseller at my local independent bookstore (Literati, in Ann Arbor) and want to encourage people to check out their area’s indie bookstore if they have a chance. Independent bookstores are great spaces with well-read, well-informed staff. Visiting one will introduce you to books, authors, and presses you might not otherwise have stumbled across, and many have frequent literary events as well, free for the public. These bookstores support the reading and writing community, and so I want to do everything I can to support them as well.